China is one of the fastest-growing markets for European brand owners to expand their business or outsource production. The China Internet Network Information Center (CNNIC) reported that in December 2017 there were over 770 million Internet users, making China the world's largest online market. Together with our colleagues at AWA Asia, Dotkeeper can now present this guide to help you protect your brand in China. Trademark squatting is rampant in China. European businesses are vulnerable to trademark squatting because China follows the ‘first to file’ system rather than the ‘first to use’. European businesses cannot assume that by registering their trademarks in Europe, they will be recognised in China as well. China does not recognise trademarks registered in other jurisdictions and will grant protection only to those marks that are filed first in China, regardless of the use or intent to use. Squatters exploit the differences in legal systems and register international brands in China predicting market entry later. Once these brands do enter China, the squatters try to sell them the trademarks for inflated amounts to earn profits. Some squatters use the reputation of an international brand to set up their own companies and make a profit on the original brand’s value. In these instances, the squatter registers using the Chinese transliteration of the brand name. This can be effective as most Chinese consumers know brands by the transliteration. Establishing ‘bad faith’ registration and ‘well-known brand’ claims before Chinese authorities has proved difficult and expensive. These factors have encouraged trademark squatting and make brand protection in China difficult for foreign firms. Domain names are linked with brand identity and exclusivity. This means that domain name registrations follow the same problems as trademarks. The means to create a holding page with sponsored links (confusing customers by linking to competitive websites). OEM manufacturing (outsourcing) activities in China is a legal minefield. While the issue has seen well-reasoned Supreme Court decisions in recent years, not all related issues have been addressed. The Courts continue to decide OEM trademark infringement cases on a case-by-case basis, depending on the factual circumstances of each case. If a business is solely using China as a manufacturing location, it would be wise to secure trademark protection, to avoid spending time and resources to come within the OEM exception of non-infringing use. This is the manufacturing of products with the trademark applied in China, but these products are for export to overseas markets, where the party has trademark registrations for the identical trademark applied in China in connection with the exported goods and are not sold in China. Pre-emotive registrants can prevent the export of products on the bases that its trademarks rights are being infringed. First-to-file regime (important to register early to save enforcement problems later). Businesses predicting expansion into China should apply for registration at the earliest, particularly as the registration may take considerable time in some cases. Relying only on the Madrid Protocol (International Registrations) is not advisable either to register marks in China. When you file a Madrid application (typically based on a western style description of your claim of goods/services), your list of items goes straight to a China Trademark Office examiner, who will decide from your list which subclasses the items should go in without consulting you. This could prove problematic as China has a unique sub-classification system (further information can be found in the Multiple registrations section below). Chinese consumers almost exclusively know foreign brands by their Chinese language versions. Therefore, to protect your rights you should register a Chinese version of your trademark, or risk third parties coining a nickname and/ or registering the same. There is a classification and sub-classification system that is peculiar to China. Generally, goods or services that are listed in the same sub-class are deemed to be similar. Under the new Trademark Law and examination practice, applicants have only one opportunity to amend the specifications, and the applicant is not allowed to add any items that are unrelated to the objected goods. If the examiner does not consider the applicant’s amendments to be acceptable, the entire application will be rejected. China divides each Class into subclasses and treats each subclass as a discrete unit. A trademark registration gives the owner rights in the covered subclasses, but virtually no rights in any other subclasses, within the same Class. Companies should therefore register under as many categories and sub-categories as financially feasible. Small and medium enterprises should think ahead and register under strategic categories. Even after registering, firms should regularly monitor the trademark register for potential squatting or infringement. Disputes over domain names in the ‘.cn’ country-code top-level domain (ccTLD) must be raised within two years of the domain name’s registration. The situation is different for domain names in the TLD ‘.com’, where there is no deadline for filing a dispute. Our recommendation is to follow the trademark example and register the domains early. The Well-Known trademark status is coveted by all brand owners, but extremely difficult to secure, with very high thresholds of use and requirements on reputation built up within China. Trademark owners are advised not to rely on this too much in their China trademark portfolio enforcement program although it should be part of any major brand owner’s portfolio management strategy. Recognition cannot be applied for on a stand-alone basis and must be asserted in proceedings such as before the CTMO, TRAB, and the Courts. 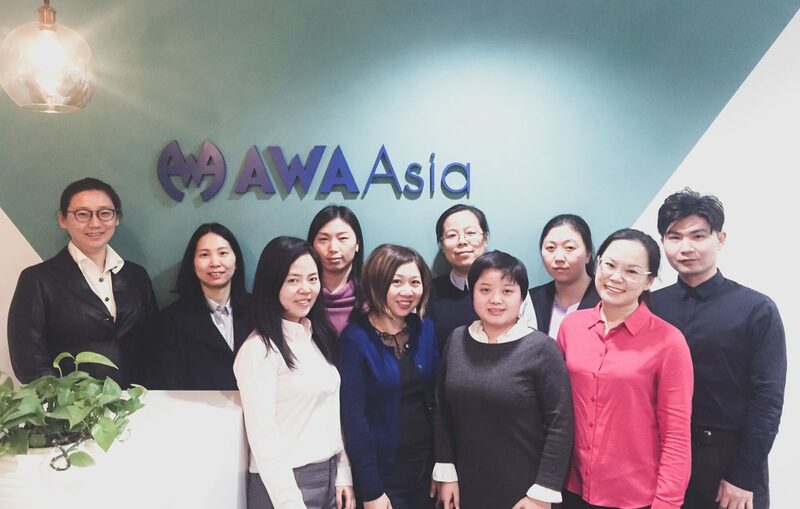 Part of the AWA Group, AWA Asia stands for a strong value proposition that consists of an East-meets-West approach with a bilingual and bicultural team of IP professionals. AWA Asia’s head office is in Hong Kong, a location known for its successful business environment, world-class infrastructure and effective legal system. Our Beijing office is also a licensed trademark agency, allowing us to file and enforce trademarks directly before the China Trademark Office and the administrative authorities. Our team of PRC-qualified trademark and patent attorneys have the technical knowledge and experience to support and manage our client’s IP needs through China’s multifaceted legal environment. Dotkeeper would like to thank our colleagues at AWA Asia for this valuable guide!